What is a tip to help students be successful when learning, taking standardized tests or working? Here is a project that helped our class create a motto for success and helped my students apply what they’ve been learning. I work really hard to keep them focused and I feel like I have been super successful with the focus part. The part I have felt like I needed to FOCUS on as a teacher is the application part. My kiddos listen, participate, and a good part of them can apply what I taught but I still have some that lack what I am pretty sure is confidence. 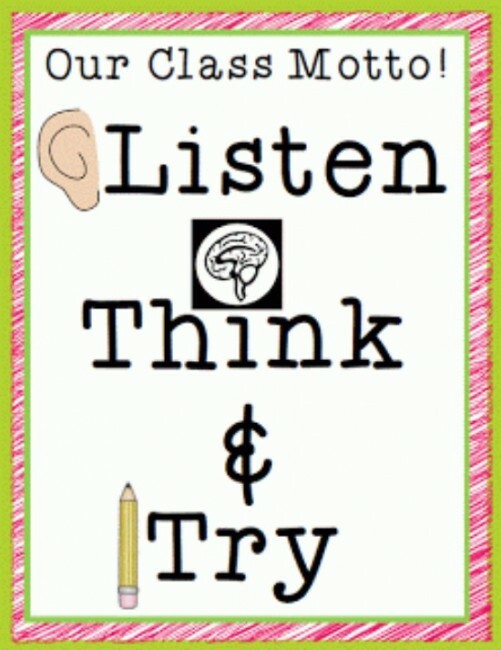 How can this motto help your students apply their learning?